The 1st annual pet calendar is now available! 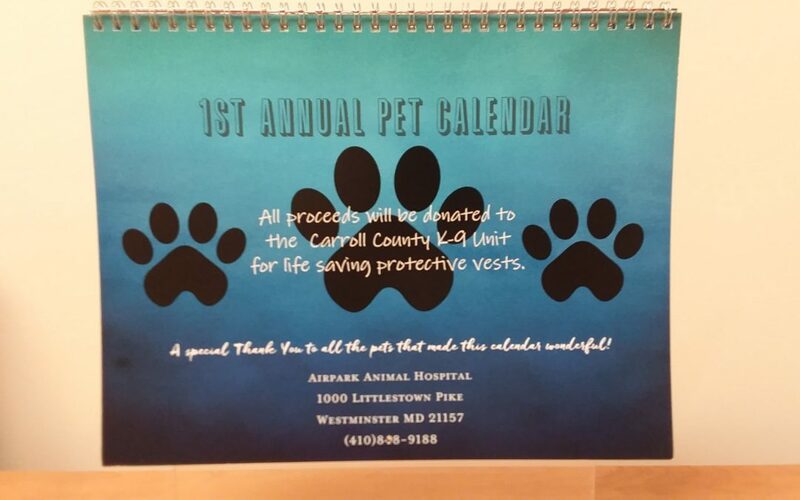 All proceeds will be donated to the Carroll County K-9 unit for life saving protective vests. Calendars are available at Airpark Animal Hospital for only $20.00 plus tax.